A compelling question for people of faith today is how to remain committed to one's own religious tradition while being open to the beauty and truth of other religions. For example, some fear that Buddhism is a threat to Western faith traditions and express grave doubts about interreligious and cross-cultural encounters. Yet, many who have actually broadened their experience profess to have developed a deeper understanding of and a deeper commitment to their tradition of origin. 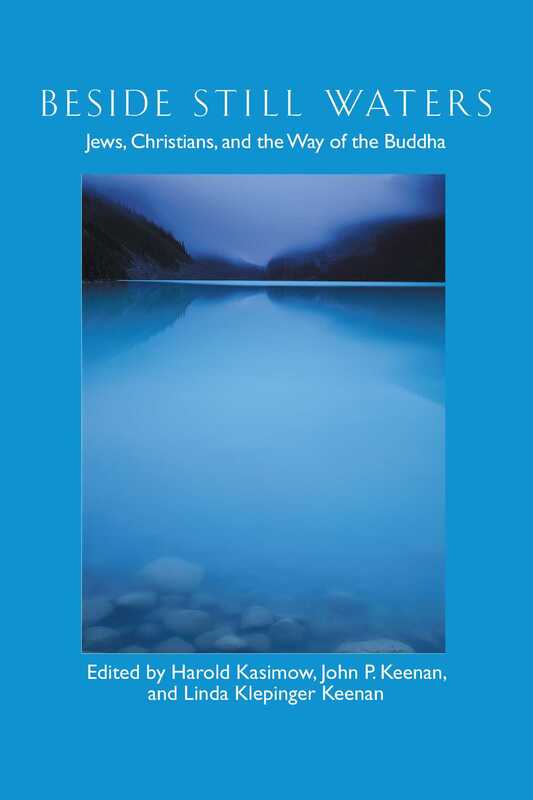 This is what makes Beside Still Waters: Jews, Christians, and the Way of the Buddha such a new and meaningful contribution. Rather than offering research or lectures, Beside Still Waters takes a deeply personal approach, allowing the reader to delve into the individual experiences of fourteen Jews and Christians whose encounters with Buddhism have truly impacted their sense of religious identity. As Jack Miles, author of God: A Biography, says in the book's foreword, "The Buddhist presence in the religious world is far larger than a head-count of Buddhists can reveal." Beside Still Waters upholds this point by way of the diverse and eloquent authors who lend their perspective in its pages; these include Sylvia Boorstein, John B. Cobb, Norman Fischer, Ruben Habito, and other important members of the Jewish, Christian, Buddhist, and scholarly communities. Their collected anecdotes and interviews amount to an unprecedented and enduring work, sure to deepen our ability to understand each other, and therefore, ourselves. "An excellent anthology of personal essays, describes how Judaism and Christianity have influenced Western Buddhism and, in turn, been influenced by it. Its authors are committed to their different traditions, yet open about borrowing language and techniques from others." "In wide-ranging and deeply personal ways, fourteen Jewish and Christian authors narrate how their spirituality has been profoundly awakened through immersion into Buddhist wisdom and practices. Beside Still Waters will richly reward religious study groups and readers interested in spirituality who are looking for role-models on their quest to become authentic human beings. More specifically, it will be very useful for undergraduate professors of comparative religion who are not content with mere historical and philosophical approaches, but who aim to help student consciousness acquire a vibrancy and radiance that keep the experience of Mystery alive and fresh, and move them to live with more awareness and compassion, more wisdom and love." "Beside Still Waters provides vivid stories of Jews and Christians who have gone east for spiritual study and then returned to their respective faiths much richer for the experience. The stories in the book reveal a pattern: the loss of an early religious dream, the finding of a new one, and a return to the childhood tradition with a reawakening of wonder and spiritual power. Alan Lew, who calls himself a Zen rabbi, believes that his Zen years taught him 'the value of disciplined spiritual practice.'... From these and other insights in the probing, thoughtful collection, we discover that through the exploration of other practices, we can find a mirror to reflect the lost (or forgotten) elements of our own traditions." "Easy to read, perfect 'before-turning-out-the-light' reading. I agree with the book's foreword by Jack Miles: 'Open anywhere. You will not be disappointed.'" "Important and worthwhile. Beside Still Waters is a watershed work in the increasingly important area of multifaith studies." "Sublime. Beside Still Waters should be required reading for anyone of any faith. At a point in time when too many people seem to be speaking at each other without listening or respecting different points of view, this book is truly heaven-sent." "Readers will undoubtedly find spiritual nourishment in this excellent collection of personal testimonies. Beside Still Waters speaks directly and eloquently to so many people in our contemporary world who find themselves straying beyond their parochial religious boundaries to draw on other traditions, while still maintaining their identity within their communities of origin. Fresh winds are blowing in this book and it presages a pluralistic world of deep dialogue and enriched religious practice. These are not empty promises of what can happen but testimonies to what has happened, to the way lives have been transformed. There is a great deal here both to challenge and encourage the attentive reader." "An intimate glimpse into the lives of Jews and Christians engaged in Buddhist practice without giving up their birth religion. These accounts are not at all, dry but juicy in their details and variety of experiences and feelings. They reveal that authentic interfaith dialogue is not necessarily the kind that takes place around a conference table but inside our bodies, hearts, and minds."